Educational research has found that the verbal short term memory of children and adults with Down syndrome is more impaired than visual spatial memory. A consequence is that processing verbal information can be more difficult than processing visual information. In other words, learning from listening is a challenge. Many research studies have shown that verbal short term memory represents a particular difficulty for children and adults with Down syndrome because it does not work as well as would be expected for their mental age level. Conversely, research suggests that their visual spatial short term memory is as good as or better than would be expected for their mental age level. Charles Hulme and colleagues at York in the UK were some of the first to draw attention to this profile and its implications in 1992.. Since then there have been many studies confirming it. Chris Jarrold and his team at Bristol, UK, have had a continuous program of studies since the 1990s aiming to unravel the causes of this verbal short term memory weakness and ruled out hearing loss or speech difficulties as fully explaining it. They conclude that the phonological loop - a part of the verbal short term memory system which uses a speech (phonological) code - does not work well. They have continued to explore underlying causes and have also turned their attention to studies which inform approaches to intervention [3,4]. Verbal short term memory influences language learning and language processing when listening to a speaker, learning to read and count, and many aspects of daily function. It is a central factor in intellectual abilities. There are two responses to evidence of a particular difficulty - how do we use strengths to compensate and can we actually reduce the weaknesses in the basic process. Both approaches are being tried. 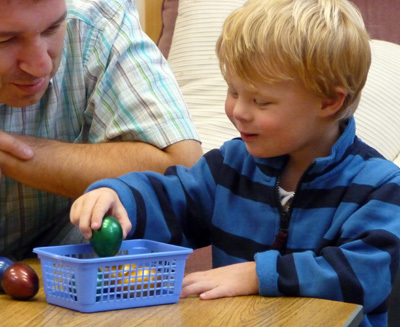 Using strengths to teach - As soon as the verbal short term memory difficulty was reported, practitioners adapted teaching by using visual supports such as signs, pictures, symbols, print and computer screen wherever possible. They are 'going around' the deficit and using the children's visual learning strengths to help children learn and remember. Improving the weak function - Some researcher have investigated memory training - with some limited evidence for benefits but finding it may be easier to train visual spatial than verbal short term memory. Can we develop effective memory training programs? What training approaches work and if they improve verbal short-term memory at the end of training does this then lead on to improved language, reading, number learning or everyday function? Does the verbal short-term memory difficulty start in infancy? The phonological loop needs to be good at discriminating speech sounds and words and babies begin to learn to do this for their native language during the first year of life. Would training speech discrimination and speech production in infants (or later) improve working memory? Hulme, C. & Mackenzie, S. (1992) Working memory and severe learning difficulties. Essays in cognitive psychology. Lawrence Erlbaum Associates, NJ. Smith, E. & Jarrold, C. (2014) Demonstrating the effects of phonological similarity and frequency on item and order memory in Down syndrome using process dissociation. Journal of Experimental Child Psychology. 128, 69-87. Smith, E. & Jarrold, C. (2014) Grouping, semantic relation and imagery effects in individuals with Down syndrome. 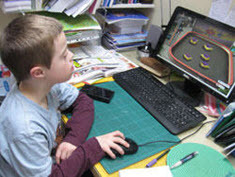 Research in Developmental Disabilities. 35 (11) 3162-3174.